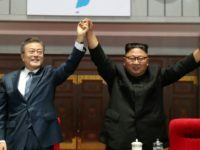 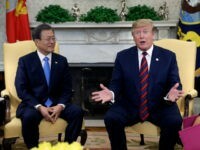 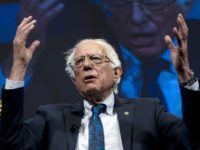 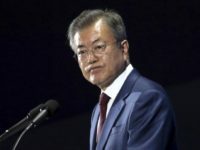 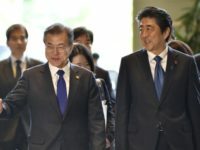 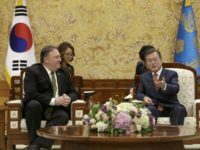 South Korea’s leftist government under President Moon Jae-in abandoned the use of the word “enemy” to describe North Korea, despite the active status of the Korean War, in its most recent defense white paper published Wednesday. 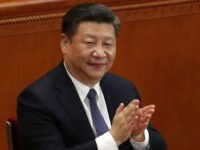 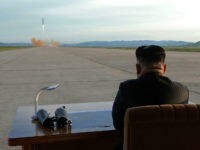 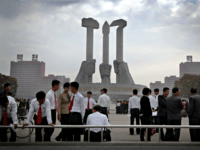 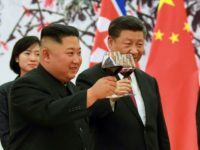 It is a safe bet that 2019 will be a crucial year for North Korea. 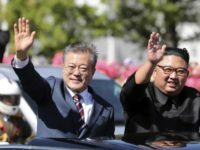 Dictator Kim Jong-un closed out the year by sending South Korean President Moon Jae-in a letter with a “positive” message, an invitation to hold further summit meetings, and a vague commitment from Kim to make his long-promised historic visit to Seoul. 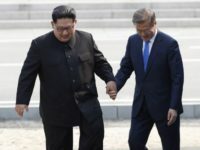 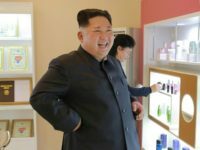 The prospects of North Korean dictator Kim Jong-un visiting Seoul in the last few days left in this year are bleak, the Yonhap news agency reported Wednesday, citing South Korea’s presidential office. 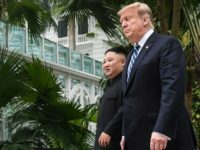 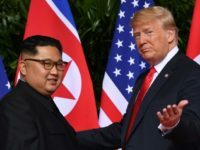 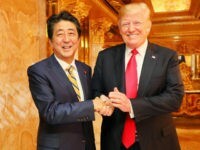 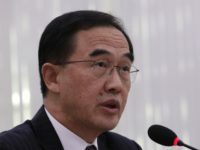 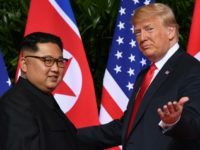 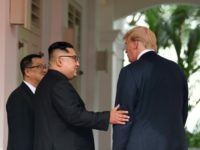 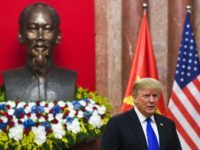 South Korean Unification Minister Cho Myung-gyon expressed hope on Tuesday that North Korean dictator Kim Jong-un will follow through on his promise to visit Seoul and make the trip a “stepping stone” to his second summit with U.S. President Donald Trump. 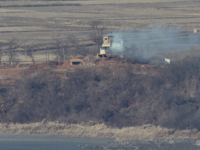 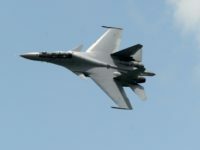 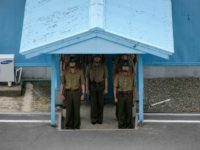 North Korean has destroyed ten of its front-line guard posts as part of an agreement to ease tensions along its heavily secured border with South Korea, Seoul’s Defense Ministry announced on Tuesday. 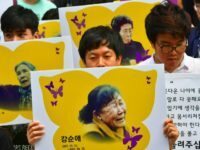 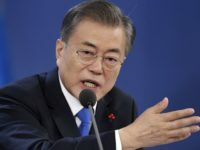 The government of leftist South Korean President Moon Jae-in launched a renewed legal campaign against “fake news” on Tuesday, enabling prosecutors to pursue individuals who share statements the government deems “false” on criminal charges. 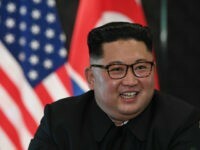 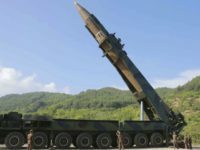 A top South Korean official told lawmakers on Monday that Kim Jong-un’s regime in North Korea is estimated to have up to 60 nuclear weapons, in Seoul’s first public admission about the size of the Pyongyang’s nuclear arsenal.